Infinite, a new musical, tells the story of Stella and Dana, two old friends who attend a nostalgic music festival to reclaim their old feelings of friendship. Dana, driven and ambitious, but perhaps unfocused. Stella, focused and idealistic, but perhaps hypocritical. They are hoping to reconnect at Infinite, the last and largest music festival of the summer. But they find that the festival is better at driving them apart than it is at bringing them together. Throughout the night, their attempts to communicate and connect are stymied by the undesired affections and histrionics of tech billionaire Franco Bruneschelli and the constant interruptions of the festival itself. Soon, they are caught up in a whirlwind of larger-than-life celebrities and (of course) advertisements, orchestrated by the mysterious Director, who seems to be in charge of it all. Making new art is impossible without the generous patronage of art lovers everywhere. 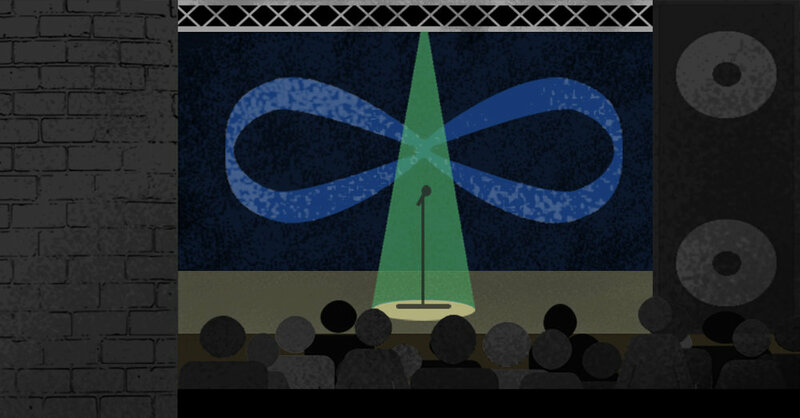 Your tax-deductible donation to Infinite will go toward funding script development, workshop productions, festival submission fees, and more. Still have questions? Check out this blog to learn more. Infinite is a sponsored project of Fractured Atlas, a non-profit arts service organization. Contributions for the charitable purposes of Infinite must be made payable to “Fractured Atlas” only and are tax-deductible to the extent permitted by law.